HomePowersportsATV - Side by SideRiverside Resort & Casino named Official Host Hotel for the 2017 Polaris RZR UTV World Championship! November 30, 2016 Motor Sports Newswire ATV - Side by Side, Powersports Comments Off on Riverside Resort & Casino named Official Host Hotel for the 2017 Polaris RZR UTV World Championship! SAN DIEGO, CA – November 30, 2016 – (Motor Sports Newswire) – UTVUnderground.com announced today that Don Laughlin’s Riverside Resort & Casino has signed on as Official Host Hotel for the third annual Polaris RZR UTV World Championship taking place in Laughlin, Nevada April 13th – 15th, 2017. Racers, teams, fans and sponsors can book their rooms now using the discount code “UTVWC”, by calling (800) 227-3849. This exciting event will feature two world championship UTV races, including a Best In The Desert Championship points race and a short course UTV Championship race. A youth RZR 170 championship race is also planned for the third year in a row! In addition to the growing prize purses and contingency cash, Polaris RZR will be awarding the winner of both Championship races a brand new Polaris RZR XP Turbo. More prizes will be announced as the race weekend draws near. “Riverside Resort & Casino is perfect partner for the 2017 UTV World Championship. They are able to accommodate the additional space we need in order to expand our event, and they offer the best amenities in Laughlin. The Laughlin family been supporters of off-road racing for decades and Matt Laughlin, Assistant General Manager of The Riverside Resort & Casino, currently races Class 6100 in Best in The Desert. The Riverside Resort & Casino is perfectly placed at the gateway to Laughlin, NV right on the banks of the Colorado River on South Casino Drive. Our entire staff will be staying there and most of our events and amenities will be there as well,” stated UTV World Championship CEO, Matt Martelli. “We’re going all in with Riverside Resort & Casino. With more space to accommodate additional vendors and festivities, Tech & Contingency will take place out front of the casino in their massive parking lot, both drivers registration and the drivers meeting will be held inside Don’s Celebrity Theatre and UTVUnderground will be hosting the official kick off party inside the world famous Losers’ Lounge. We are pumped to be bringing the Polaris RZR UTV World Championship to downtown Laughlin with Riverside Resort & Casino!” stated UTVUnderground.com CEO/Founder Joey DiGiovanni. Riverside Resort & Casino offers newly renovated rooms from standard to executive rooms, plus a variety of restaurants, entertainment, and full family oriented amenities including Riverside Lanes Bowling Alley, Kid Kastle, laser tag, Classic Car Museum, two arcades and Riverside Cinemas Movie Theater to give families plenty to do. Riverside Resort & Casino also offers over one hundred thousand square feet of gaming excitement on their feature slot machines, table games and live action poker tables. The three-day UTV World Championship event format will feature one day of racing, contingency and tech in downtown Laughlin, and a day of demo and enthusiast rides and more. The UTV World Championship is part of the Best in The Desert (BITD) Off-Road Racing Association and will be marketed, produced, and televised on NBC Sports by motorsports media heavyweights, Mad Media. The format brings together UTV desert racing, UTV short-course racing, and enthusiast rides into one massive multi-day event on the edge of the Colorado River in Laughlin, Nevada. The event has quickly become an important showcase for UTV manufacturers and aftermarket manufacturing companies to display and sell their products. Enthusiasts and racers will be able to pre-run the racecourse in stock UTVs during the “UTV World Championship Family Fun Poker Run”. To book a hotel room for the UTV World Championship call (800)227-3849 and use the UTV World Championship group discount “UTVWC”! The UTV World Championship has become the go-to event for companies looking to represent their products in front of the industries best racers, teams, fans and UTV enthusiasts. In place for 2017 is the return of the industries largest UTV Tech & Contingency – where hundreds of the sports best brands are able to showcase their products while mingling within the festive atmosphere. The 2017 UTV World Championship will be the biggest and best UTV World Championship to date. Mad Media (www.madmedia.com) is a San Diego based marketing and creative agency, with in-house film and television production. We craft authentic, culturally engaging brand messages, and deliver them across print, web, photography, and film platforms. Mad Media has been leading the online content revolution since 1995 producing major commercial, television, online content and viral film projects such as The Gymkhana Series and XP1K Series. 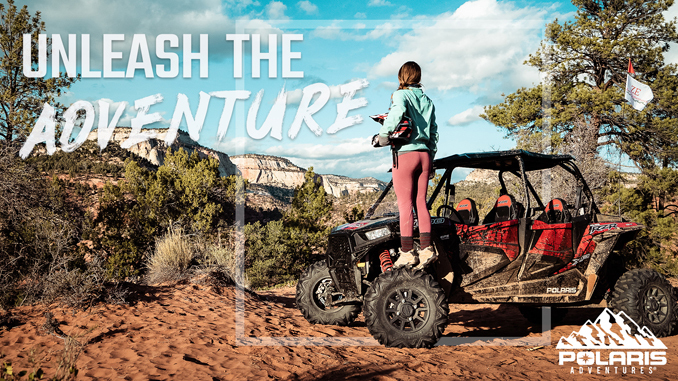 Owner of The Mint 400 off-road race and UTV World Championship off-road rac, Mad Media has pioneered marketing campaigns integrating events with print, online, social media, TV content and merchandise to create fully integrated brand experiences. The world’s fastest growing all inclusive UTV site contributed to by both enthusiasts and manufacturers alike. UTVUnderground is the go-to site for fresh, original content and is known for its dedication to hosting all of the latest news and insight surrounding the UTV industry. Thousands of monthly visitors from over 100 different countries around the world go to UTVUnderground.com or their daily dose of UTV news and information.